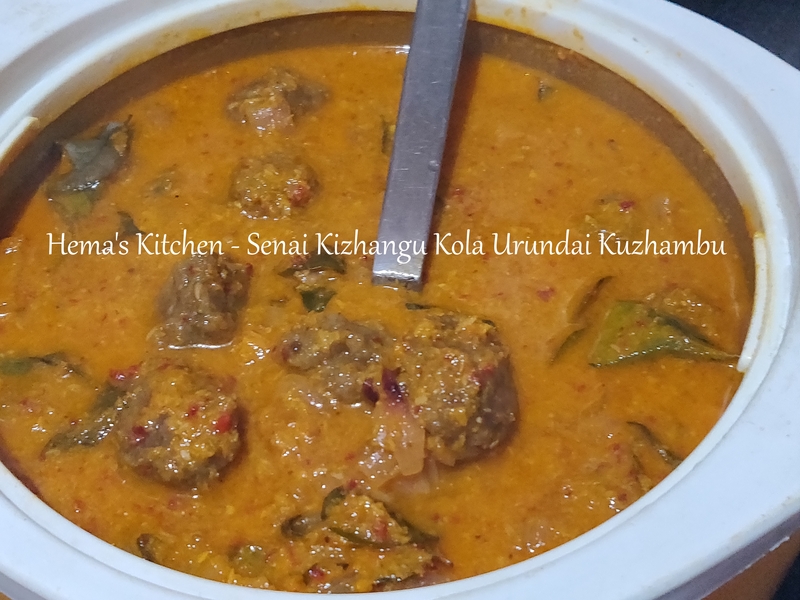 This is a very interesting kuzhambu made from banana flower. The cleaning process only takes time. But this dish is worth a try. Banana flower has lots of health benefits and it is good for women in all ages. 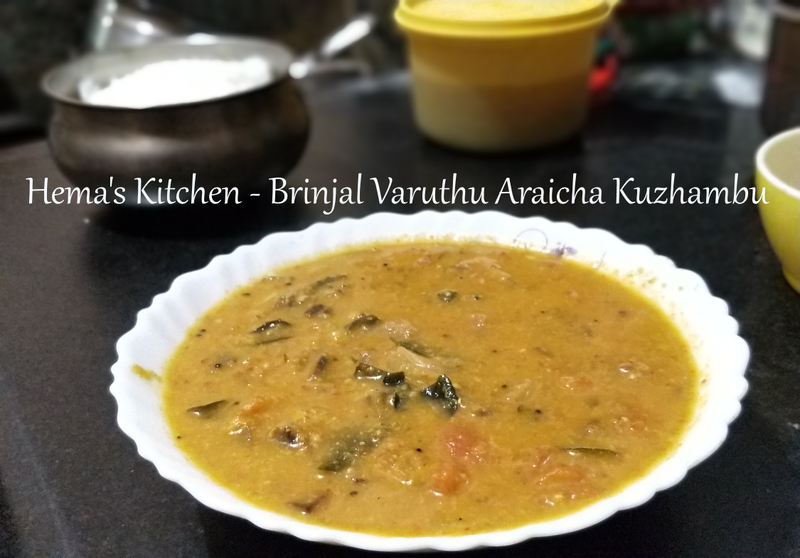 Brinjal varuthu araicha kuzhambu is a kuzhambu in which we grind coconut with some other spices and make. 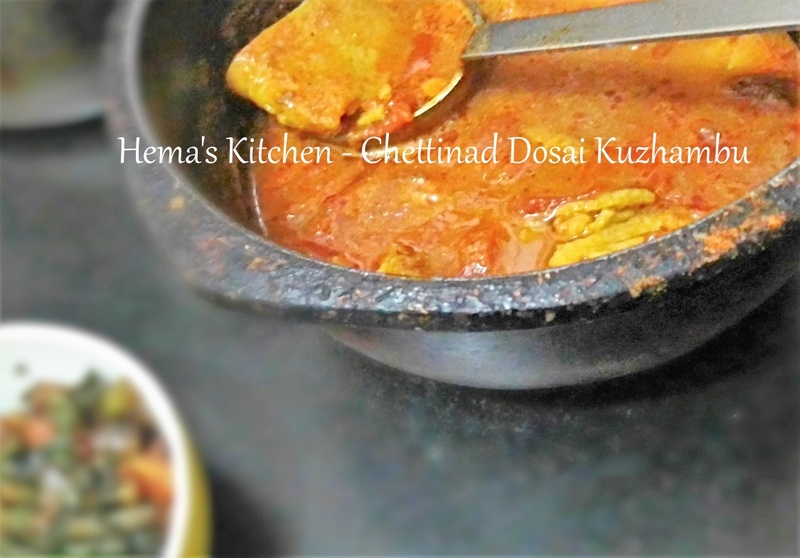 This kuzhambu is very tasty as we fry the ingredients and grind. This is one of my special dish which I make often. 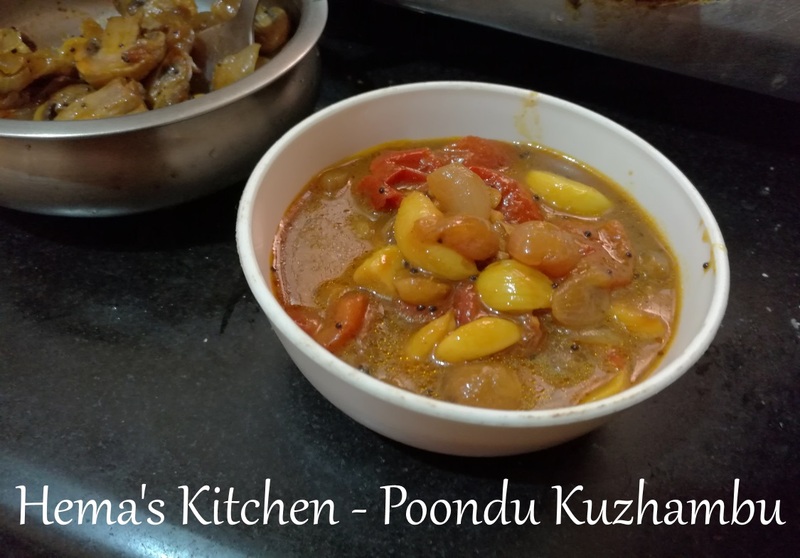 Poondu kuzhambu is one of the kuzhambu I make regularly at home. Adding garlic in the food reduces cholesterol in our body. It also has anti-inflammatory properties and improves insulin sensitivity and reduces the the risk of type-2 diabetes. 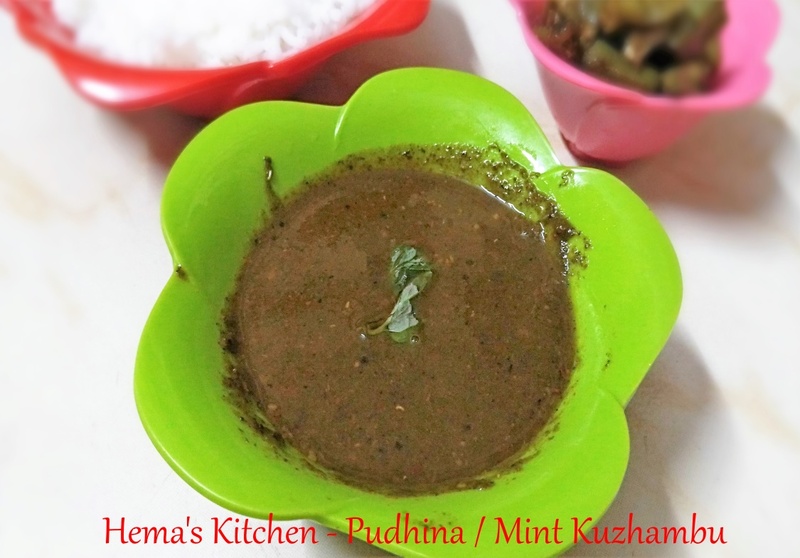 Here is he recipe which I use to make poondu kuzhambu at home. Another way of using Jackfruit seeds are to make Jackfruit Seeds Kuzhambu. 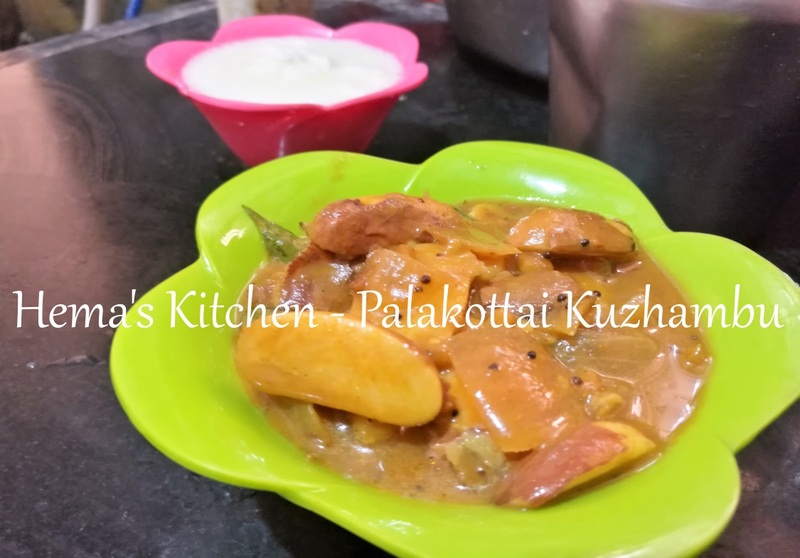 This is a simple and tasty kuzhambu which can be made easily. Yesterday, I made jackfruit seeds kuzhambu at home which is my mother’s recipe. 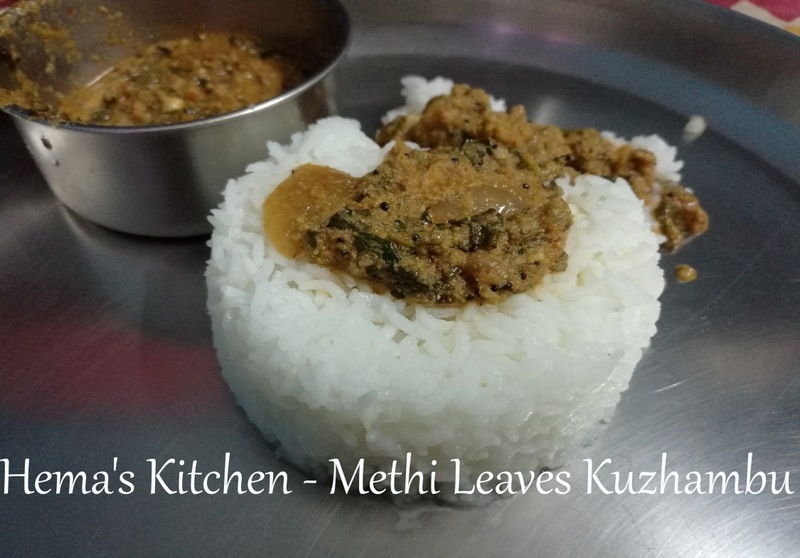 With lots of helth benefits this kuzhambu is a must try recipe. 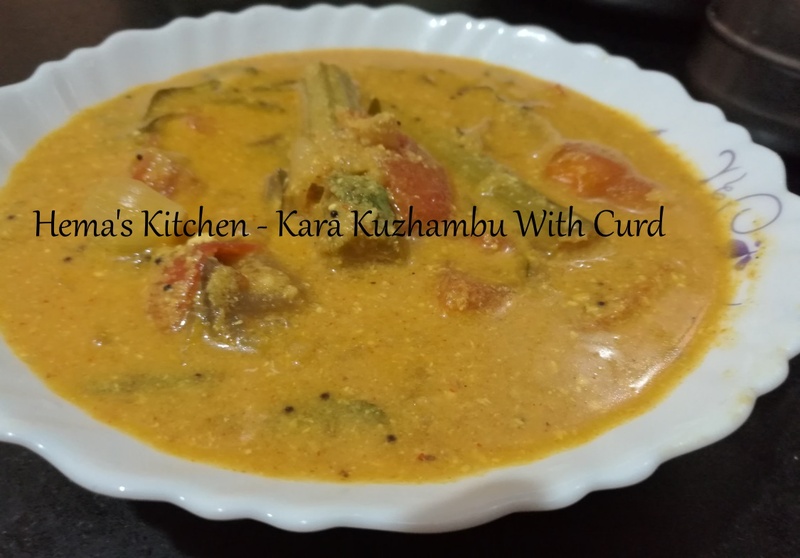 Usually we make kara kuzhambu with tamarind. But in this kuzhambu we add curd instead of tamarind. 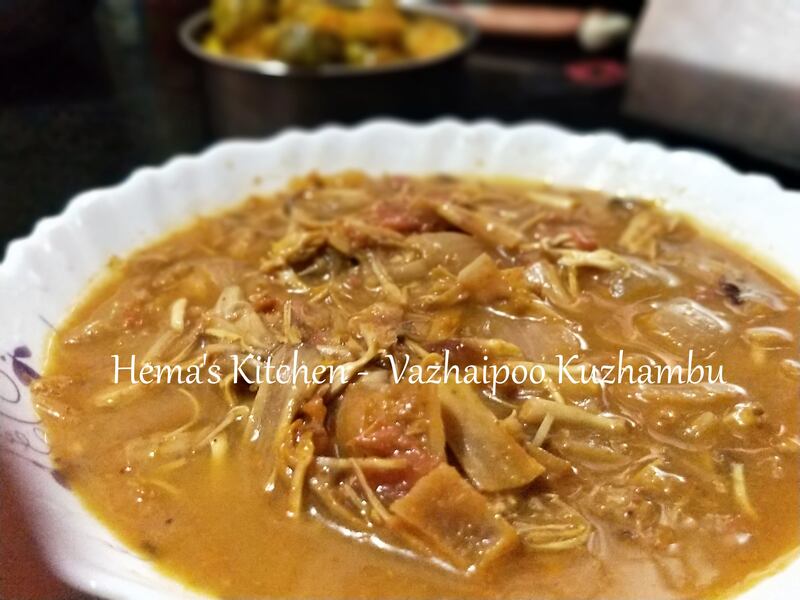 This is one of my Grandmother’s recipe which I make often. We also add ground coconut mixture in this kuzhambu. 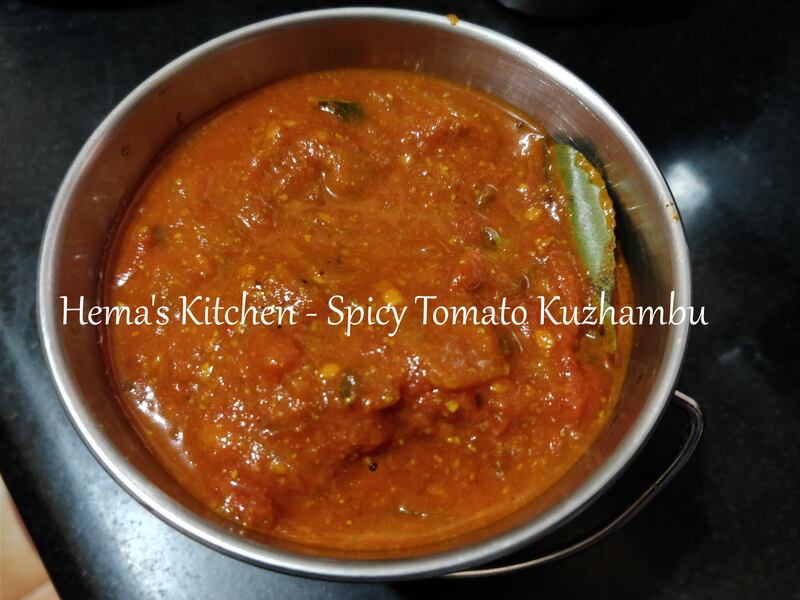 The kuzhambu tastes good with the spiciness and tanginess.